What's your favourite Eagles song? I'm sure we all have one! The music of the Eagles is instantly recognisable with layers of deft musical technique, topped with lush vocal harmonies that deliver their unmistakable "Californian" sound the Eagles are internationally famous for. This amazing musical combination is captured in all its glory by "The Australian Eagles Show". 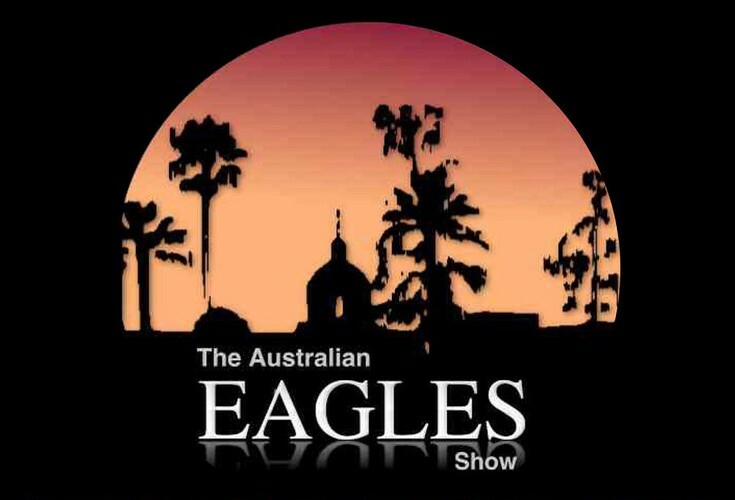 The Australian Eagles Show delivers the country’s most authentic reproduction of the recorded works of the legendary, multi-platinum selling, U.S. group The Eagles. Performing The Eagles' greatest hits from the country-tinged ‘Take It Easy’ to the soul-drenched ‘One of These Nights’, the hard-rocking ‘Life in the Fast Lane’ and the stadium-anthem ‘Hotel California’. Priding themselves on their professionalism, The Australian Eagles Show only use state-of-the-art sound & lighting to intensify The Eagles tribute experience & entertain audiences ranging from the casual fan to the diehard fanatic. The Australian Eagles Show performs with attention to detail that has to be seen and heard to be believed. This amazing show strives in every aspect to pay ultimate tribute to the musical mastery of a band they all adore! In fact ,if you close your eyes, you may even be fooled. This is a show that people of all ages will identify with and will want to see again and again.